Picture SB1. 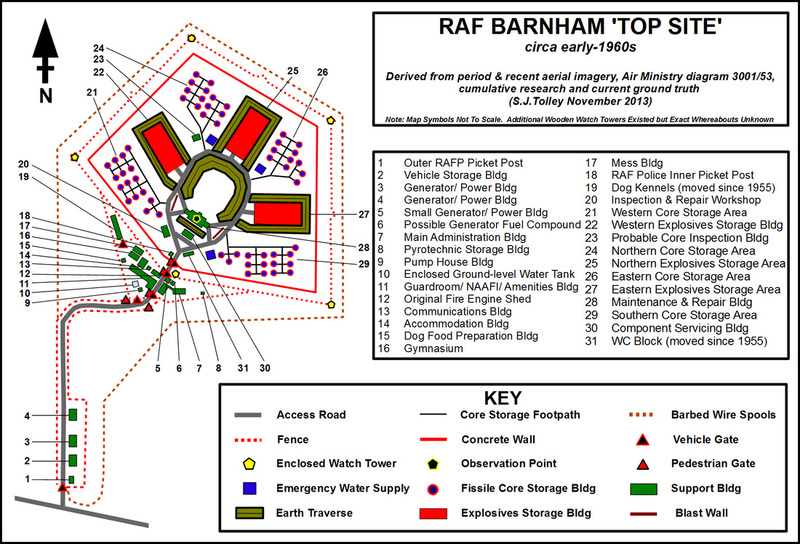 Schematic of Barnham NSS, with the baseline derived from Air Ministry Diagram 3001/53 but with more detail added from the current ground truth and knowledge captured thus far. This map differs from the one on the "HISTORY" page following changes to fencing and buildings in the late 1950s.